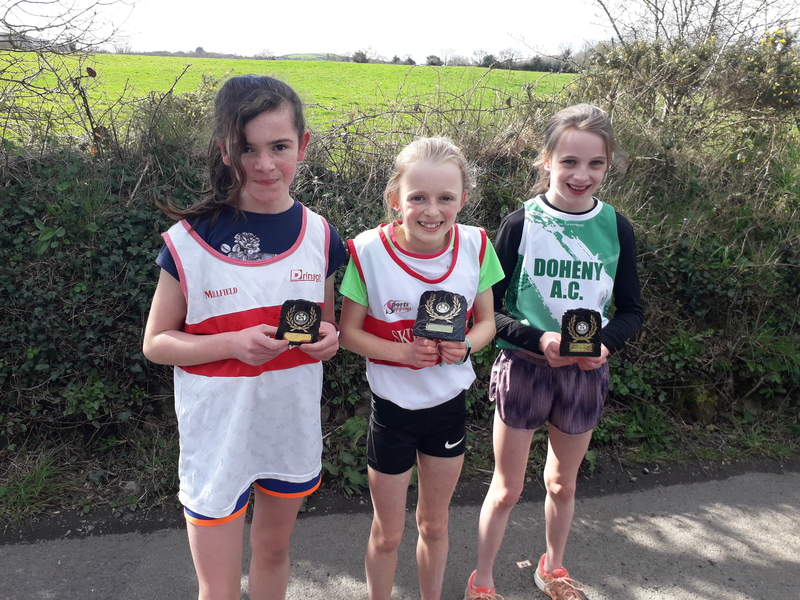 The first day of the 2019 West Cork Track and Field Championships took place on April 7th at the CIT track on dry, sunny, but very cold windy day. Juvenile events were for uneven ages . Seniors and Masters were also competing. In a new departure this year the 3k Senior event had a team element, with team prizes going to clubs in a similar fashion to Cross County event. 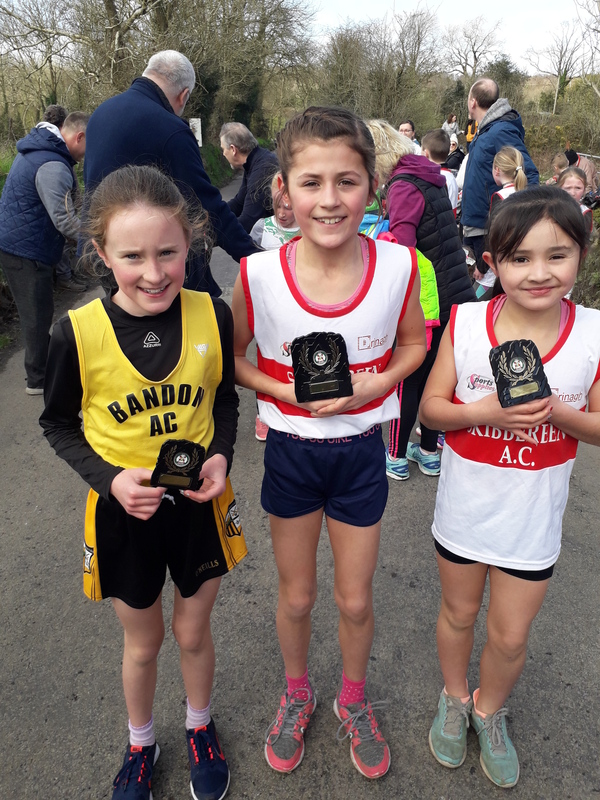 There was great mix of Clubs from the region and all the events were keenly contested, with all Clubs taking a satisfactory selection of medals. The second day for even ages takes place on Saturday 13th April starting at 12 noon. This year the trophy for Best Overall Club in the West Cork Championships will be replaced by the Catherine Duggan Memorial Trophy kindly donated by the Duggan family in memory of the late Catherine Duggan, long time Head Coach at Bandon AC.. This will be presented at the second leg of the Championships to the Club with the most points over the two days. 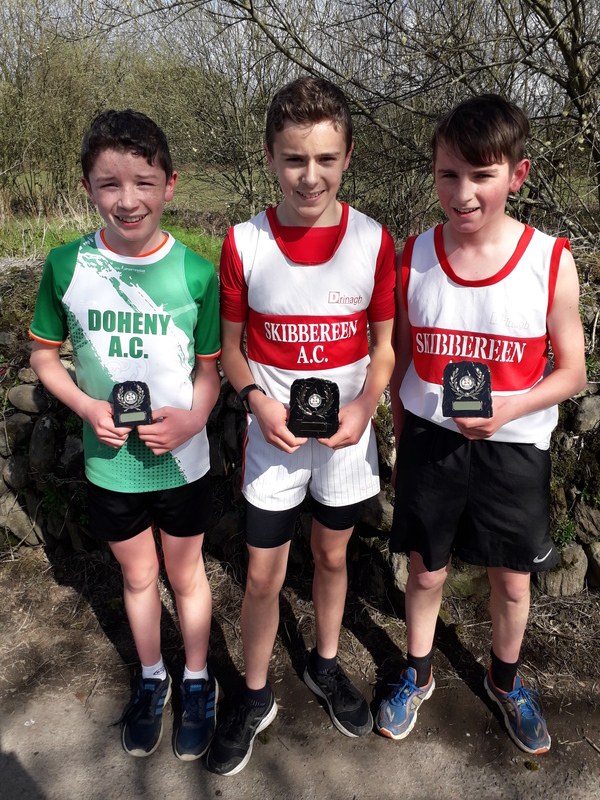 3,000m – 1 Michael Harrington, Durrus AC, 2 Naoise O Flaitheartaigh, Bandon AC, 3 John Cronin, West Muskerry AC. Weight Throw -1 Peadar Kelleher, West Muskerry AC, 6.97m, 2 Donnacha O’Brien, Doheny AC, 6.76m, 3 John O’Donovan, Bandon AC6.10m. Turbo Javelin – 1 Lorraine Coakley, 17.53m, 2 Holly O’Flynn, 17.52, both Skibbereen AC, 3 Isobel Lane, Bandon AC, 14.60m. Program for West Cork Athletics Track & Field was agreed last night at the AGM. Link to full program and order of the day for both days is below. Dates are Sun 7th April with an 11am start and Sat 13th April with a 12noon start. One of the changes this year is in relation to the 3km event. Hoping this might encourage some road runners to take a turn on the track and would hope that we see a number of teams involved. Another change was in relation to adding a Javelin for Boys and Girls U13 on the 1st leg. This is NOT to be used as a training exercise and athletes taking part in the Javelin are expected to have practiced within their clubs, athletes who are not throwing safely will be removed from the competition. 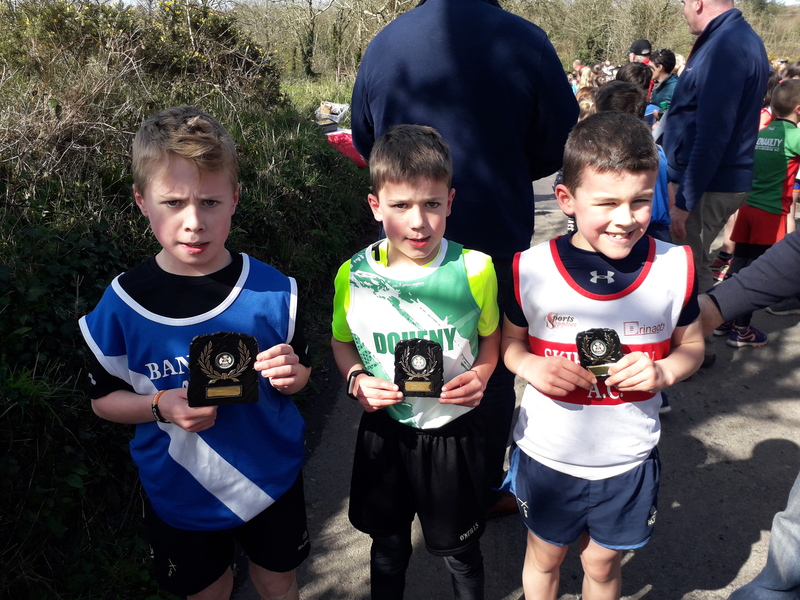 Well done to everyone who took part in the West Cork Athletics road races today in Dunmanway. Some close races in fantastic conditions. U15 Girls, 1st Danielle O’Neill West Muskerry AC. 2nd Annie Townes, Durrus AC. 3rd Caoimhe Hortmanshoff, Durrus AC.